In the late 1960s and early 1970s, the California Division of Highways carried out three highway realignment projects along State Route 166 in Cuyama Valley, San Luis Obispo and Santa Barbara counties. Salvage archaeological work was conducted at seven sites, but the resulting extensive collections were never formally catalogued or documented. Some 40 years later, a Caltrans Transportation Enhancement grant proposal to analyze and document the Cuyama Valley Archaeological Collections project was awarded to Far Western. The result was a five-volume set entitled Cuyama Valley – A Corridor to the Past. The archaeological volumes (I–III) include: (1) a graphic representation of local temporal indicators across time, as well as temporal charts of local projectile point and bead types; (2) identification of, and focus on, site-specific temporal components; (3) extensive original research and discussions on landscape evolution and geoarchaeological sensitivity, including a map of buried site potential in the Caltrans right-of-way in the Cuyama Valley; (4) a detailed description and discussion of a fully exposed Chumash structure; (5) analysis of yucca-roasting ovens, including feature descriptions, plant identifications, and preparation methods and resulting archaeological evidence; (6) a contribution to the ongoing debate on artiodactyl abundance; and (7) patterns of technology, settlement, and social interactions. Ethnographic/ethnohistoric Volume IV includes: (1) estimates of non-mission populations in Cuyama Valley, and the effects of European-borne diseases, especially on children; (2) discussions and complex diagrams of social interactions between Cuyama Valley inhabitants and surrounding villages; (3) detailed kinship charts of Native individuals associated with Cuyama Valley villages; (4) first-hand accounts from court dockets of Cuyama Valley Native Americans in the 1840s and 1850s; and (5) a focus on the concerns and activities of today’s Chumash who are carrying on the traditions and languages of their ancestors. Historic Volume V includes: (1) a documented history of Cuyama Valley’s early settlement and land use, with special reference to the occupation of sites during the Spanish and Mexican periods in California; (2) evolution of transportation corridors through the valley; and (3) development of adjacent road- and highway-related features that have encroached upon the seven Cuyama Valley sites. 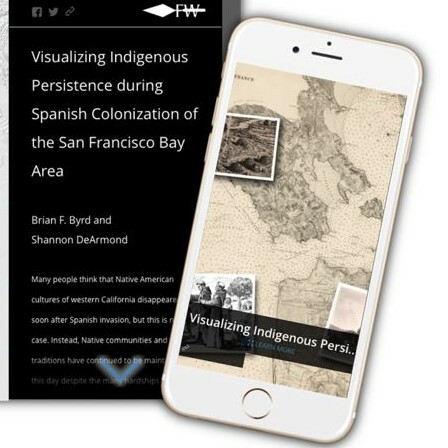 Three genres of public-oriented interpretive material were prepared in close collaboration with Northern, Barbareño, and Ventureño Chumash individuals. A series of bookmarks and exhibits was created to be used for public lectures and social events, and a publication entitled The Long Road Traveled – Archaeology, Native Americans, and Europeans in Cuyama Valley summarizes all relevant findings from this study for a more general audience. Some three-dimensional models of artifacts found at the sites can be viewed in the 3D Visualization Gallery. Cuyama Valley – A Corridor to the Past. Volume I: Archaeological Synthesis. Cuyama Valley – A Corridor to the Past. Volume II: Site Reports. Cuyama Valley – A Corridor to the Past. Volume III: Analytical Reports and Data. Cuyama Valley – A Corridor to the Past. Volume IV: Ethnography and Ethnohistory. Cuyama Valley – A Corridor to the Past. Volume V:. The Corridor After Contact. All volumes were submitted to California Department of Transportation District 5, San Luis Obispo, California. For more information, or copies of the reports or public document, please contact California Department of Transportation District 5, San Luis Obispo, California.